The Rotary club of Accra Legon East has provided free medical screening for the people of Tomefa in the Ga South area. The Deputy Director General in charge of Managerial Operations at the National Communications Authority (NCA), Dr.
National Democratic Congress (NDC) flagbearer aspirant Dr Ekwow Spio-Garbrah has confirmed meeting other aspirants in the lead-up to the party’s December 7 presidential primary. 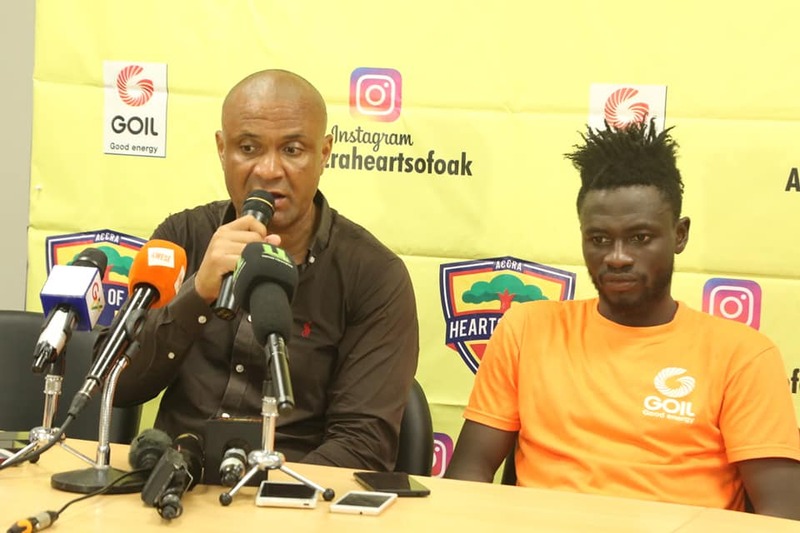 Accra Hearts of Oak attacking midfielder Samudeen Ibrahim is set to begin a new life with Moroccan side Raja Club Athletic barely a week after he was put on ice by the Phobians for allegedly violating his contract. The Institute of Public Policy Research(IPPR) is calling on the government to ensure that the bidding processes for the allocation of oil blocks in the petroleum sector is done in the full glare of the general public. Farmers whose activities have been affected by the mining operations of Newmont Akyem Mines, have petitioned the company, demanding for a roundtable discussions to enable them renegotiate properly for their source of livelihood that have taken away from them. European Union Ambassador to Ghana Diana Acconcia says the EU is shifting away from the ‘donor-receiver’ kind of relationship with Africa to a partnership kind of relationship. Experienced trainer Paa Kwesi Fabin is to be appointed head coach of Aduana Stars just a little over a month after resigning from his post at Asante Kotoko. The Normalisation Committee of Ghana football will meet owners and Chief Executive Officers of Premier League and Division One clubs on Friday. Son of former Finance Minister, Dr Kwabena Duffuor has sued auditing firm KPMG and some of its staff for their involvement in the collapse of uniBank in August. Former President Jerry John Rawlings has said some politicians, without mentioning names, are not fit for the presidency and, thus, wondered why they were eyeing the flag bearer and running mate slots of the opposition National Democratic Congress (NDC) which goes to the polls this December to elect a flag bearer out of 12 aspirants, including former president John Mahama. Vice-President Dr Mahamudu Bawumia, has reiterated the resolve of the Nana Akufo-Addo government to transform Ghana within the shortest possible time through the implementation of policies and programmes designed to make Ghana a modern economy.